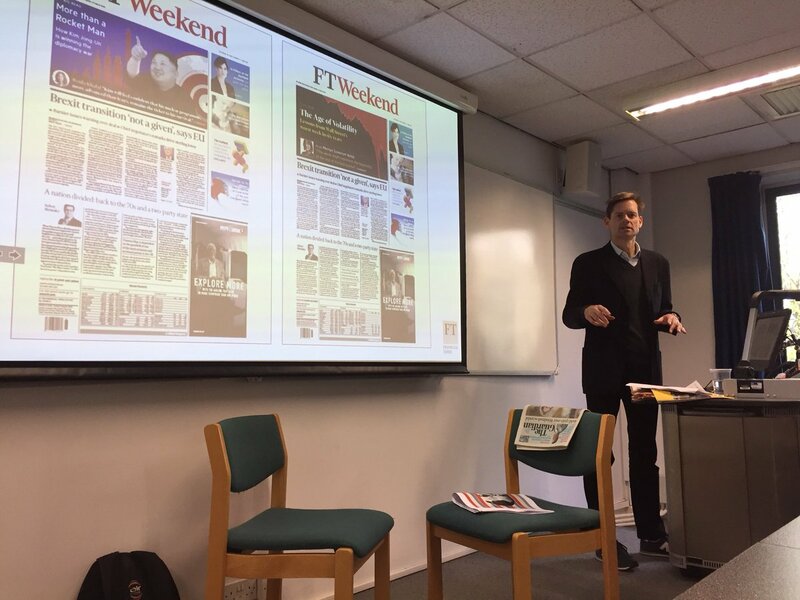 Alec Russell discussed the future of print journalism and the concept of ‘fake news’ with final year students. 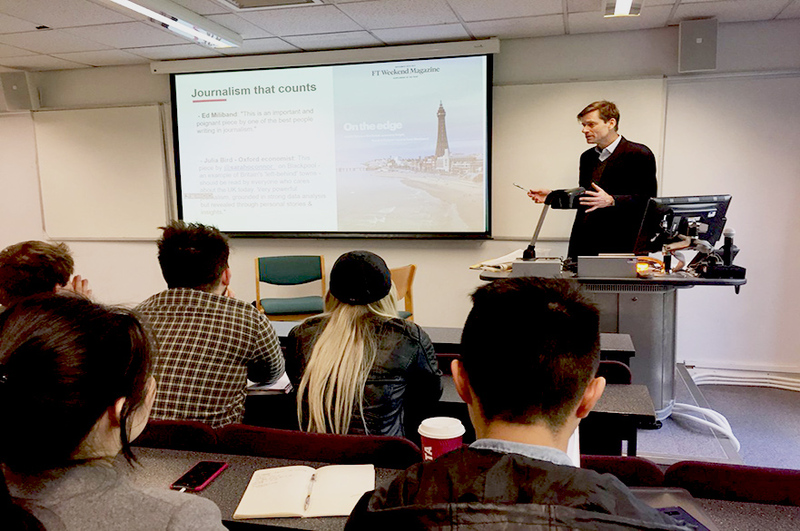 This month, final year students on our joint honours BA (Hons) Communication & Society course received a visit from the editor of Financial Times Weekend, in order to learn more about the current world of journalism from someone working in the heart of the industry. The talk came as part of the module ‘Advertising, PR and Journalism’, which is co-led by Catherine Adams. Alec Russell began his career travel writing in Nepal, before reporting from Eastern Europe, Africa, the USA and the Middle East as a foreign correspondent, despite having no received no formal training. He has written books on the Balkans and Africa and has been nominated for a Pulitzer Prize for Journalism. He was previously the News Editor for the Financial Times and is now the Editor for Financial Times Weekend. Alec Russell claimed that "It's the golden age of long-form, deep journalism." Alec personally believes that print journalism will ultimately die out and that publications need to find alternative ways of attracting readers. The Financial Times has begun to offer ‘Live Journalism’ experiences such as the FT Weekend Festival, a book group and a Live Leader Debate between the editorial team. The newspaper is also developing a more dynamic social media presence, with video clips and Facebook Live broadcasts appealing to a new audience. The students asked a range of thoughtful and interesting questions, such as “Who is the most amazing person you have ever interviewed?” Alec said that meeting Nelson Mandela had been a huge privilege, but that Archbishop Desmond Tutu was also a fantastic interviewee. The group were also interested to gain his advice on entering a career in journalism. He advised students to approach employers with evidence of active engagement in the field and a strong desire for the job.